I sat down with my copy of Real Money Answers for Every Woman: How to Win the Money Game With or Without a Man not knowing what to expect. In all honesty, it is because I have never deeply considered how my approach to personal finance is affected by my womanhood. All it took was a glance down the table of contents for me to understand why this book is needed. More specifically, I was able to see why I needed to read it! 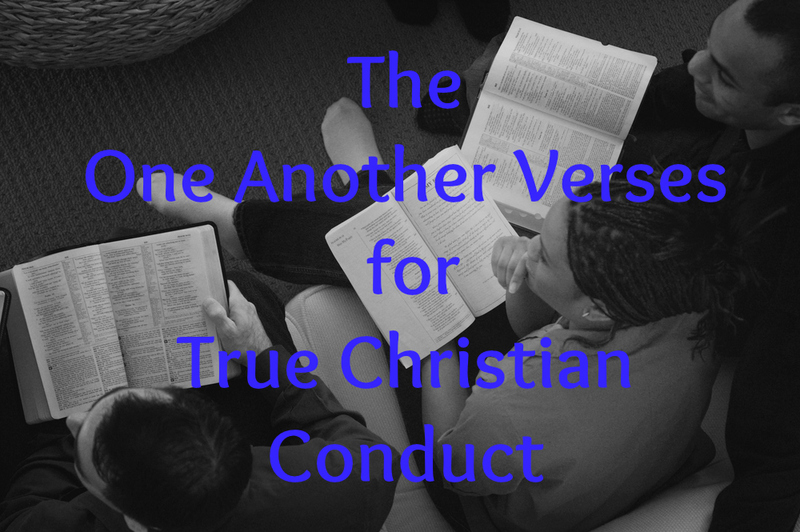 The book has four sections, with a few chapters within each section. The magic is what happens within these chapters: the table of contents lists questions that are proposed within the chapter topic. Many of these questions resonated with me and many of the clients with whom my husband and I engage. They come up over and over again, a lot of them specific to women of varying demographics. Reading this book, the author delivers on her promise of real money answers. 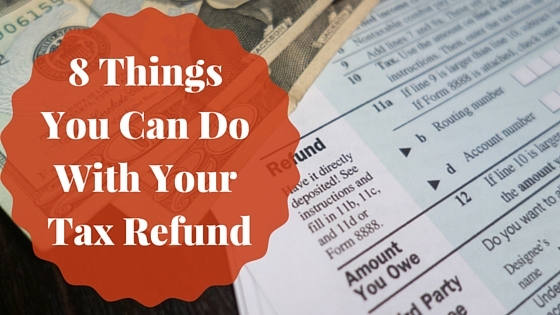 She doesn’t speak in personal finance generalities, taking a one-size-fits-all approach. I can believe that Mrs. Washington has taken her years of experience in her field, having really heard the voice of her clients and audience, and packaged her most genuine responses in a power-filled tool! Have you ever had a friend that ALWAYS tells you the truth, even though you may not want to hear it? (If you haven’t, you really need to get one of those!) Well, let me help you be prepared if you are going to pick up this book: PATRICE WASHINGTON WILL BE THAT FRIEND!!!! Her tone is very down-to-earth, very conversational — and equally firm. She is not afraid to let her readers know when their mindsets are just crazy, silly, or wrong! I’ll admit, you may have to say “ouch” a few times while reading this, but you will keep on going because you can trust that she is helping to get past your unhealthy mindsets and actually providing you with the information you need to get results. It reminds me of Proverbs 27:6 “Faithful are the wounds of a friend”. She is also extremely open and encouraging throughout the pages. She starts off by sharing her own story, including some of her own missteps and how she had to change her thinking and relationship with money to become financially healthy and successful. There are many gems in Real Money Answers, but I will just mention a couple of my favorite things. The detail: Mrs. Washington gives you everything you need to set you up for success (There she goes being that friend again). It’s more than just some useful worksheets in the back – although there are those, but when she answers specific questions, she provides resources to utilize and specific steps to take to get things accomplished! The scope: As I said already, the author did an amazing job of meeting the needs of her audience. She covers such a wide range of topics where I know people need direction and advice. For example, she tackles how to handle: friends who are taking advantage, entitled children, money questions to ask when dating, and financial recovery after a divorce. You need to change your mindset about money! If you don’t change that first, you’ll keep making the same mistakes. The book will help you consider your mindset, how you’ve developed it, and the steps needed to adjust. The time is now! Nothing will change, or things will get worse, in your financial situation until you take action. 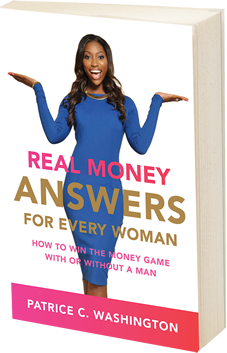 Real Money Answers for Every Woman is available on Amazon and other retailers. Patrice C. Washington has dedicated her life to moving the masses from debt management to money mastery since 2003. As a featured columnist, television commentator, radio host, author, speaker and leading authority on personal finance for women and youth, Patrice is intentional about keeping her message on money management practical and upbeat. Patrice’s down-to-earth advise has been featured in numerous articles, quoted in dozens of newspapers and magazines and appeared on hundreds of radio stations and television networks, including Bloomberg TV, Forbes, The Huffington Post, CNN Money and Black Enterprise. Each week, 8 million listeners tune in to hear her “Real Money Answers” segment on the nationally syndicated Steve Harvey Morning Radio Show. As a transformational speaker, Patrice is invited to conferences, churches and colleges nationally to electrify, entertain, educate and most importantly to her, inspire action in thousands of families monthly.